Thanks for your interest in our literature. This is an overview of our pledge, who we are and what we do. It also includes a list of our customers and our equipment and software. 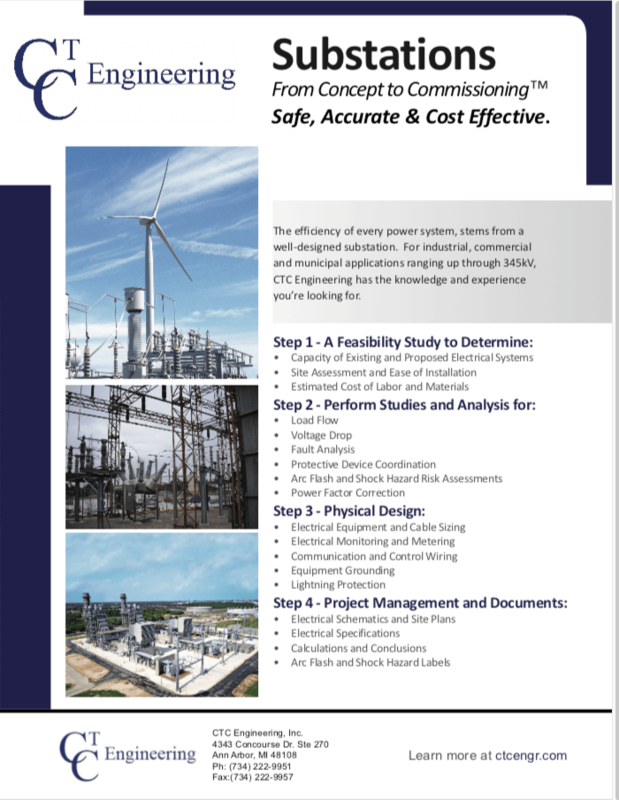 The efficiency of every power system stems from a well-designed substation. 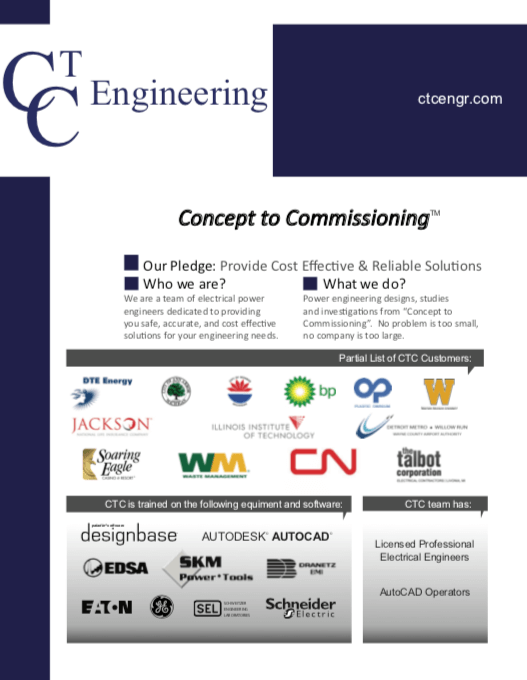 For industrial, commercial and municipal applications ranging up through 345kV, CTC Engineering has the knowledge and experience you’re looking for. 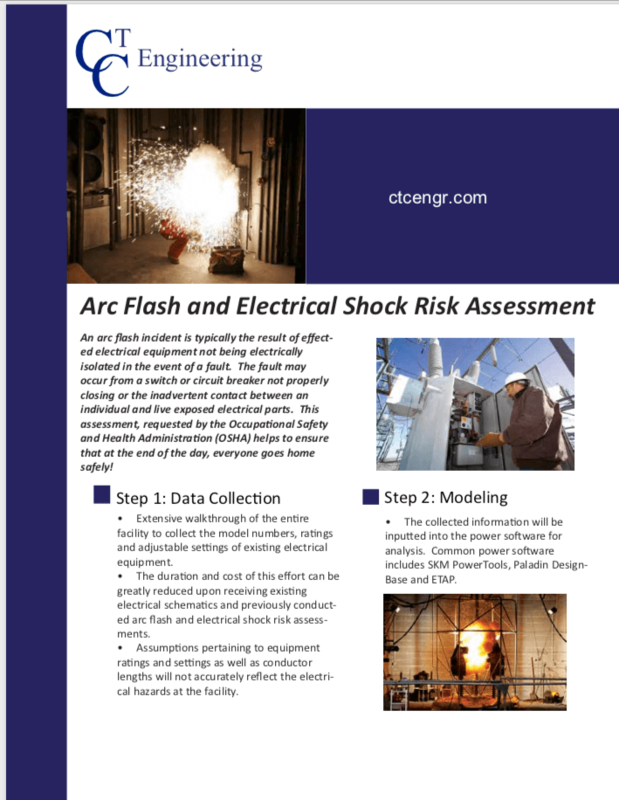 An arc flash incident is typically the result of effected electrical equipment not being electrically isolated in the event of a fault. The fault may occur from a switch or circuit breaker not properly closing or the inadvertent contact between an individual and live exposed electrical parts. This assessment, requested by the Occupational Safety and Health Administration (OSHA) helps to ensure that at the end of the day, everyone goes home safely!